Anisha called me a few months before her wedding date. 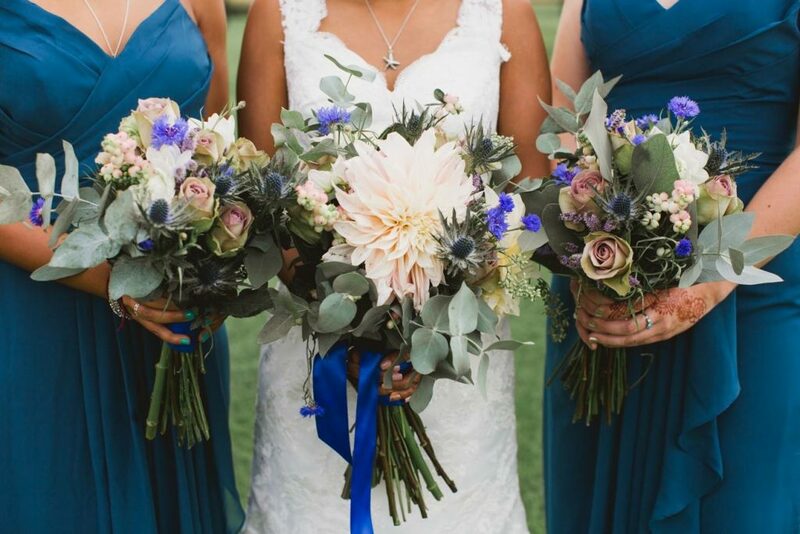 She was organising a big wedding outside of London and asked me to design just her personal flowers which included bride, bridesmaids bouquets and button holes. She is my favourite kind of bride, she gave me a few examples of colours and flowers she liked and basically said, do your thing. I did and it was really pretty. If you get married in September and hire me to make your flowers, the chances are you will get a few dusty pink, dinner plate sized Cafe Au Lait dahlias. I can not bang on about them enough. They are just divine.